Hilton Hotels offers free Diamond Status for active duty military members through the Hilton Honors Aspire Card from American Express. Normally, this card costs $450 annually, but AMEX waives the fee for military servicemembers. American Express currently offers 3 Hilton Honors personal credit cards and 1 business card. Together, you could earn 375,000 Hilton points if you acquired all 4 cards and met the minimum spend on each. That's nearly enough for a 5 night stay at any of the top Hilton properties. Most of these welcome bonuses are at all time highs. You should apply for these cards when the bonuses are high because AMEX only allows you to get bonuses on their cards once per lifetime. 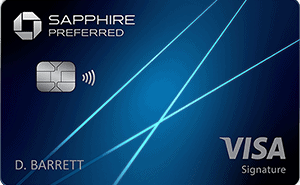 If you add up the 18 nights stay (worth at least $1500), the 1 weekend reward night ($200), $250 resort credit, and $250 airline fee credit this card can easily give you $2200 of value in the first year PLUS the annual fee of $450 waived! The free weekend night award can be cashed in at luxury properties that would normally cost hundreds if not thousands of dollars a night. That's $2650 of value from this card alone. Learn more about this card here. One tip I have is you can upgrade this card to an Aspire card. You can reap double the benefits, such as resort credit, airline fees, reimbursed, AND get an additional weekend night free annually. You will still pay no annual fees if you are an active duty US servicemember. 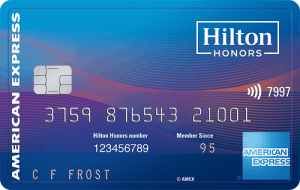 This card has a welcome offer of 75,000 Hilton Honors Bonus Points after spending $1000 in the first 3 months of Card Membership. This is an EASY way to add to your HIlton Honors points stash. 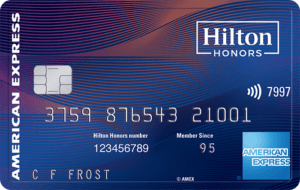 This card's best benefit is a welcome bonus of 125,000 Hilton Honors points after spending $3000 in the first 3 months. American Express waives the $95 annual fee for US military personnel. 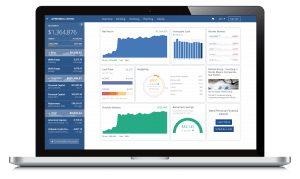 One tip is that you can apply for this card even if your business doesn't make much money. Use your Social Security number instead of a employer tax identification number and select “sole proprietor” from the list of corporation types. Even if you only sell a few items on eBay or Craigslist, you should qualify for a business credit card.